I know how difficult it is to find activities for your loved one who has Alzheimer’s. If your loved one is like my Mom, she was always happier if she had something productive to do. Raised on a farm as a child, Mom held to the theory that work should be done from sun-up to sun-down. If some of that work happened to be pleasant, that was a plus for her. Her favorite thing to do was to sweep our back porch. And sweep it she did—hundreds of times a day. Pre-Alzheimer’s, my Mom loved puzzles. 1,000-Piece, jigsaw puzzles spread their pieces across a folding table in her bedroom. The arm of her recliner supported stacks of newspapers saved specifically for their crossword puzzles; and her floral Tote bulged with seek and find puzzle books. Current brain research shows that some forms of mental exercise, like jigsaw puzzles, can slow the progression of Alzheimer’s. Jigsaw puzzles are especially helpful as they stimulate multiple areas of the brain at once. Traditional jigsaws, however, are too difficult for advanced Alzheimer patients, and tend to cause agitation and frustration. As Alzheimer’s progressed for Mom, she lost the ability to sort through 1000’s of pieces, whether it be jigsaw puzzle pieces or words on a printed page. Mom needed simpler puzzles, yet most were too childish to interest her. In the end, my Mom was only able to crochet a single chain stitch. Activities are so important that I wish I had known about Springbok Puzzles before my Mom passed away. SpringBok Puzzles have created a collection called Puzzles to Remember which are specifically designed for the person with Alzheimer’s. 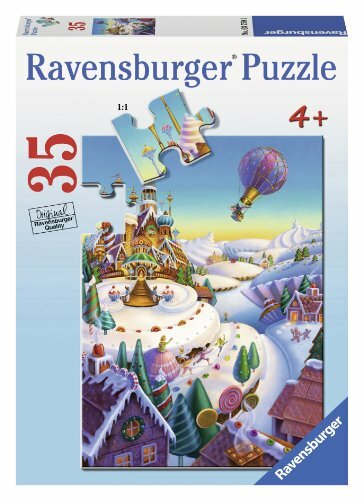 The Puzzles to Remember are the same overall dimension as the 500-piece puzzles, but they only have 12-36 pieces. A smaller number that is easier to manage by the person with memory loss. The actual puzzle pieces from the Puzzles to Remember Collection are much larger than traditional children’s jigsaw pieces. They are also easier for Alzheimer’s patients to manipulate. Plus, the nostalgic and cheerful themes are chosen for their ability to provide gentle stimulation and positive reinforcement. Puzzles to Remember are inspired by the work of Max Wallack, a family caregiver who saw, firsthand, the impact of Alzheimer’s on his great grandmother, and the calming effect of jigsaw puzzles. Besides outstanding puzzles created specifically for the Alzheimer’s Patient, Springbok Puzzles also has a charitable giving program called Springbok Cares. From the sale of special puzzles, they are able to give financial support to charitable organizations that support loved ones fighting Alzheimer’s Disease and cancer. Springbok also supports other good causes, and recently became a proud sponsor of the Kid’s Wish Network. 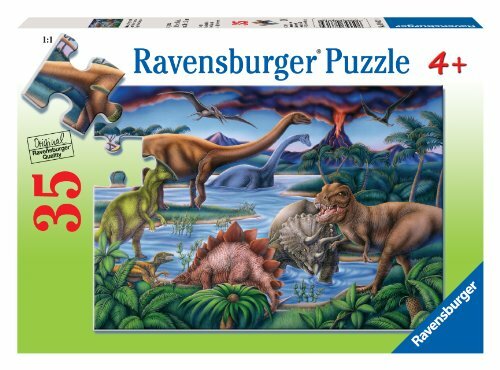 There are many more Puzzles that are perfect for your loved one from the wonderful Puzzles to Remember! Below is only a sample of the many wonderful puzzles with larger pieces for the adult with Alzheimer’s. 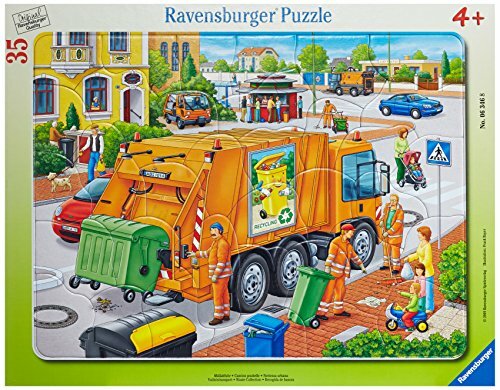 Ravensburger also offers a wonderful collection and have Puzzles that fit most every walk of life, auto mechanics, airline pilots, etc.